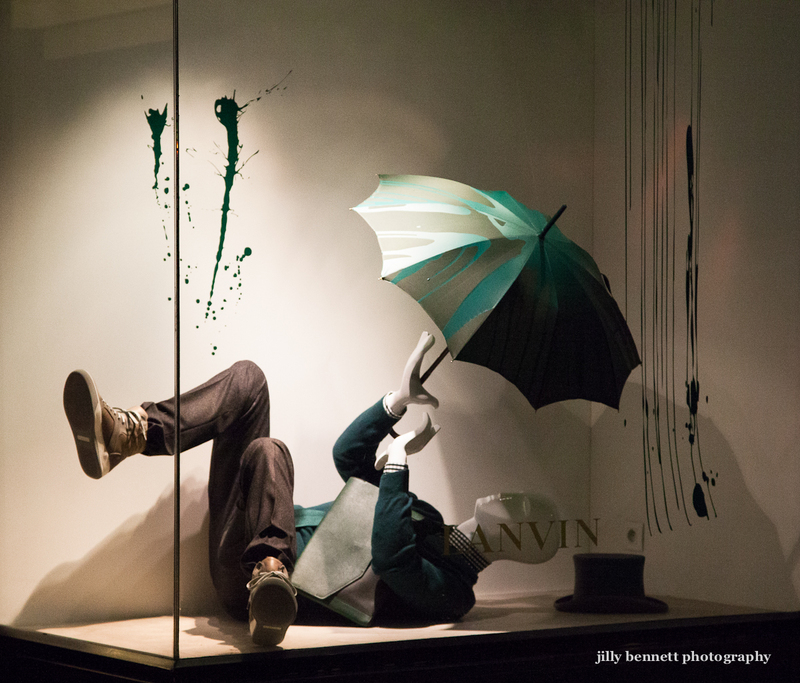 The Lanvin windows are always fun. When it's time for a new window display, do you suppose a designer in Paris sends insructions to all the Lanvin shops of the world - so they are all the same? Or perhaps each local shop, such as this one in Casino Square, does its own thing? A good question, Jilly. At Louis Vuitton shops it's the same display all over Europe, maybe all over the world.. I don't know if Lanvin have shops outside France / Monaco?? Maybe one of your French followers knows it? I took exactly the same photo of the autumn scenes with umbrella while I was in MC. You are right, they are always fun! I'm always looking forward to them!